In Chinese philosophy and religion, there are two principles, one is Yin and the other is Yang. Yin represents negative, dark and female or feminine. Yang represents positive, bright and masculine. The philosophy of yin and yang is the center of Chinese culture and plays an important part in everything to do with China and Chinese culture. The first references to Yin and Yang came from the “I Ching”, the five classic works compiled and edited by Confucius. People often think of yin and yang as opposing forces. However, it is really more appropriate to view them as complementary pairs. In Chinese culture, when problems arise people usually assume there is a conflict between these two elements or there is an imbalance between their surroundings. No matter whether there is a flood, divorce or even a fire in the kitchen, all can be attributed to the disharmony in the forces of yin and yang. The interaction of these two elements influence the destinies of creatures and life in general. Of course, this can sound overly superstitious to many people but which culture doesn’t have its own special belief. 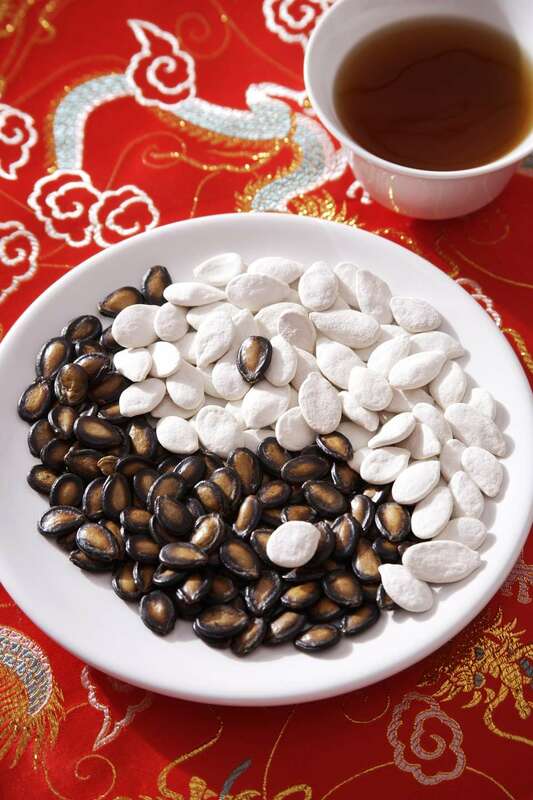 When you talk about the Yin and Yang in Chinese cooking and Chinese food, you are looking for a balance in your food. As I mentioned before, Yin and Yang should be seen as opposing forces and should be treated as complementary pairs. So in Chinese cooking, when chefs design or think of an idea for a dish and menu they will try to find the “perfect balance” of the food. Before I explain the balance of the food I will have to tell you about the “hot and cold” in food. In China and Taiwan, most people don’t use “Yin and Yang” to describe food but instead use “Hot and Cold”. The hot and cold here doesn’t relate to the temperature but the attributes of the food. Mung beans, seaweed, eggplant, bean sprout, bitter melon, cucumber, cabbage, Napa cabbage/Chinese leaves, tofu, watercress, watermelon, melon, winter melon, banana, pear, coconut, blackberries, crabs, and clams. So back to the topic we were talking about “seeking for the balance” of Yin and Yang in Chinese food and cooking, I have to give you some examples of the food combinations to show you the “balance” between food. For example, Autumn is usually the best season for eating crabs in the East and Chinese people usually eat steamed crab with a sauce that is made of chopped ginger and rice vinegar. As we know, ginger is a Yang food and the crab is Yin so with this combination you have a perfect food “balance”. Chinese people usually cook winter melon soup with some julienned or thin slices of ginger or stir-fried clams with ginger. Apart from the ginger’s flavor, ginger can get off the odor of the seafood and also because ginger is a Yang/hot food, it can balance the yin/cold food like the winter melon, crabs, and clams. Another thing about Yin and Yang in Chinese cooking is the cooking methods. Generally, Chinese people think the Yin cooking methods are boiling, poaching and steaming. The Yang methods are deep-frying, roasting and stir-frying. Please note this article as with many other articles on the Chinese food channel is purely a suggestion. Please ensure you eat a balanced diet and if you have any health issues seek professional help before embarking on a new diet.